My boys aren’t usually the biggest fans of fish, but they sure are into adventures! So tonight, I decided that I wanted to let them have a kitchen adventure! We all headed out to our favorite grocery store and went straight to the fish counter! We asked for Alaska wild caught halibut! and we also had a chance to stop by the lobster tank and say hello. We would be making Mediterranean fish bowls. 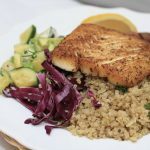 I’ve always heard from many friends that wild-caught Alaska whitefish, such as halibut, would be a delicious and easy way for the kids to eat more seafood. Because of its tenderness and flavor. Alaska’s waters produce the purest, high-quality seafood. Its wild fisheries contribute nearly 60% of all seafood harvested in the United States! What a treat! “Ask for Alaska” to ensure you’re enjoying the best, most sustainable seafood in the world. If you want to learn much more about Alaska Seafood and its amazing quality and flavor, visit this site! They also have plenty of recipes for you to try, if you don’t want to go all out of the adventurous experience. After picking our fish, we spent a good long time all around the store! we chose a Mediterranean theme for our dish and the boys helped me pick out these few ingredients! They love avocado! half of the like cucumber and the other half like tomatoes so we went with both! a new thing for them to try was the kalamata olives, but they were all excited to do it! Back at home, we pulled out the spices that could go well with fish and they chose a few! They were both excited and terrified, and well so was I. If we got this wrong, they would probably never want to try fish again. This was super fun and easy! We used our spices to rub on the fish and then pan seared it! 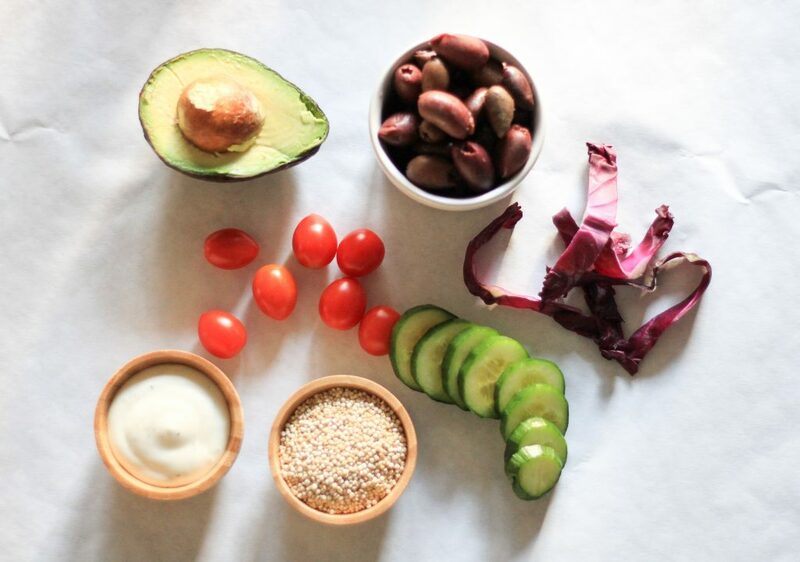 Before that, we had prepared the quinoa and the fresh ingredients. The creamy greek dressing is key! according to the boys :). So don’t forget to have it ready, because it will make the dish perfectly creamy and delicious. their words. Here is our recipe! I hope you try it and tell me how it turned out for you! Mix up the dried spices to make one delicious Mediterranean spice. dry up the Alaska halibut to make sure there is no extra water. 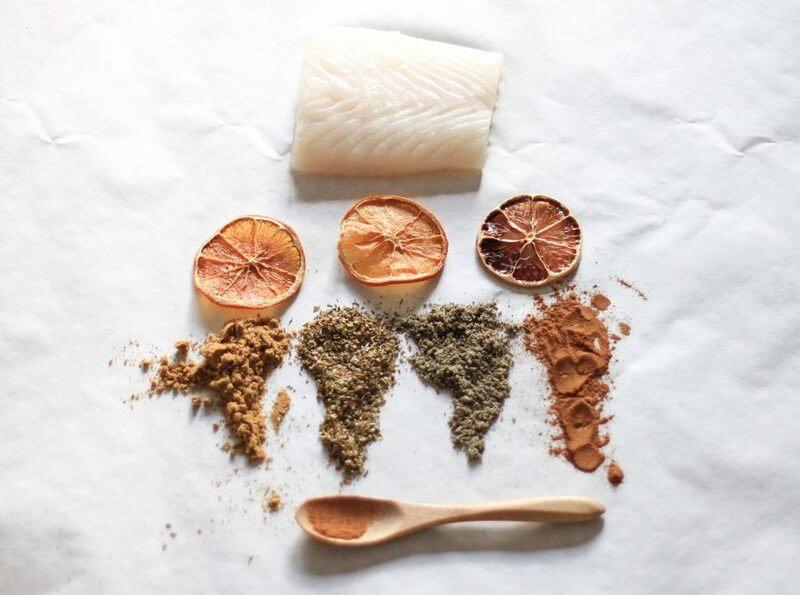 Rub the spice all over the wild-caught Alaska halibut steaks. in a frying pan, warm up enough oil to cover the entire base, place the Alaska halibut down on the hot oil to sear. Wait until is golden brown and then place it in the oven at 435 degrees for about 5 minutes. 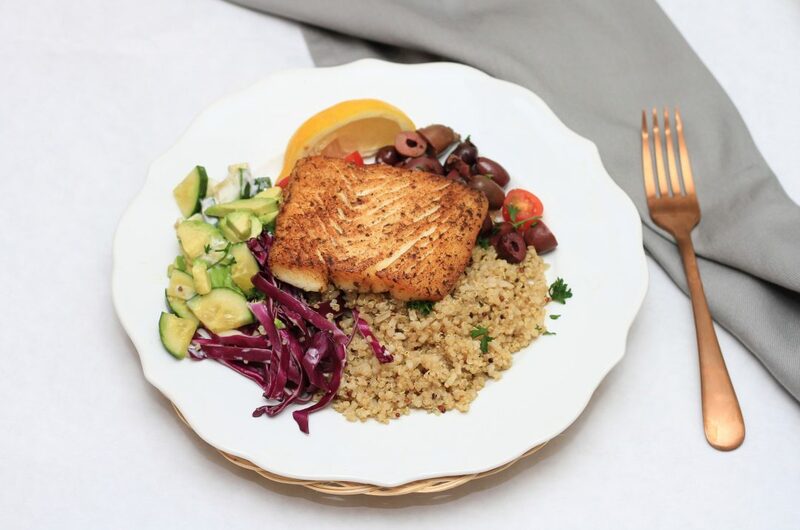 While the fish is n the oven, place the cooked quinoa, sliced tomatoes, purple cabbage, cubed cucumber, sliced avocado, kalamata olives, on the plate or bowl and drizzle the greek dressing over all of it. 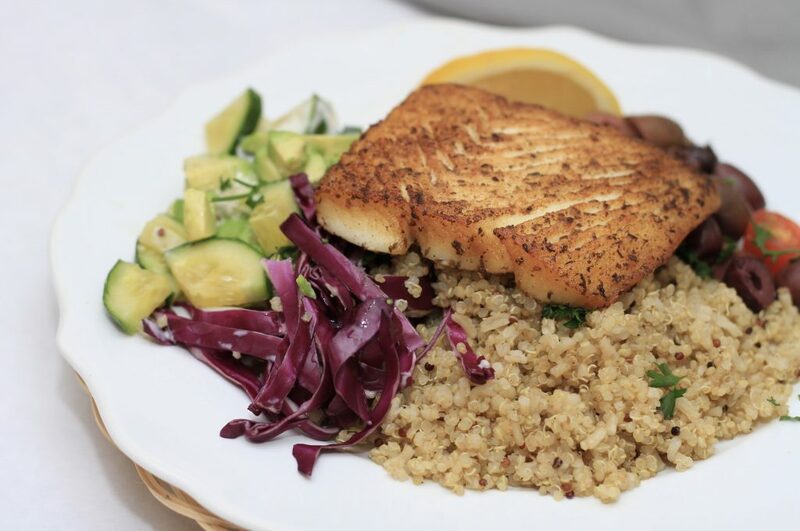 take the fish out of the oven and place it on top the quinoa base. Place a lemon wedge next to it and serve immediately. squish the lemon juice over the fish before eating. We love to have an extra serving of the greek dressing on the table, just in case we need more. I will be sharing in our Instagram stories, the process of how this dish came together! So I hope you will connect with us there too! If you hurry up for dinner, I will make it right up!